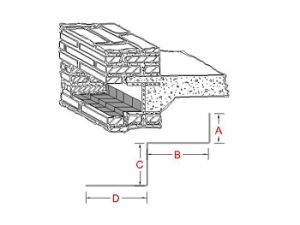 Lintel Flashings are implemented to prevent seepage and consequent deterioration of a critical support structure: the lintel, responsible for holding up the extra weight created by and open space, such as windows or doors. Z Form Lintel Flashings creates an impervious membrane and support for the lintel — the horizontal structural member (beam) that supports the load over an opening such as a door or window. These Flashings provide a preventative measure to avoid leakage at susceptible joints for water entry. 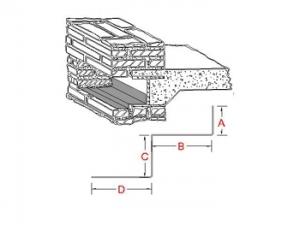 They promote sound structural integrity and a hermetic seal to prevent water-logged entry points. 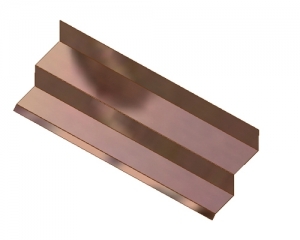 A Through-Wall Lintel Metal Flashing is the sanity to any traditional mason. In order for the structure to remain in sound condition, all potential targets must be sealed — even doors and windows. 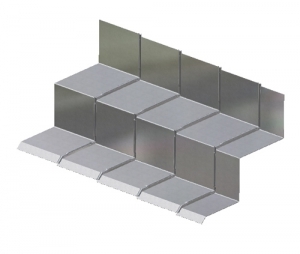 The 3 Way Bonding Lintel Metal Flashing A has a step-like and corrugated effect to provide the utmost protection between the masonry and the window. 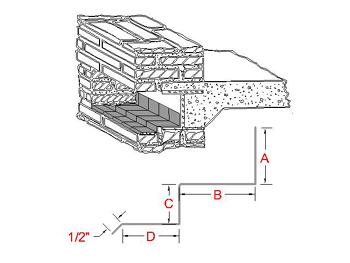 This Lintel Flashing exists at the window/door juncture in order to prevent the entrance from becoming immersed. 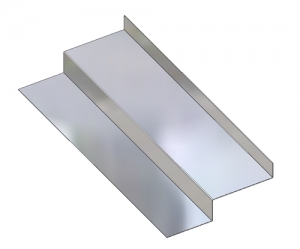 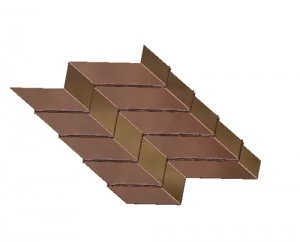 The 3-Way Bonding Lintel Metal Flashing B has striated contours to hermetically seal the window juncture. The shape goes up one masonry course and then seals the unequivocally critical joint to prevent deterioration around the window.